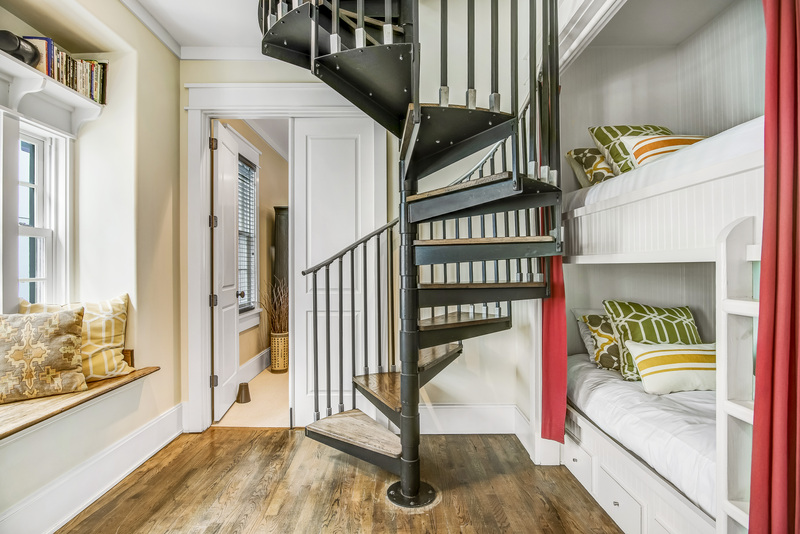 Take a break from everyday life and start your adventure at the Carlin Ward Cottage! 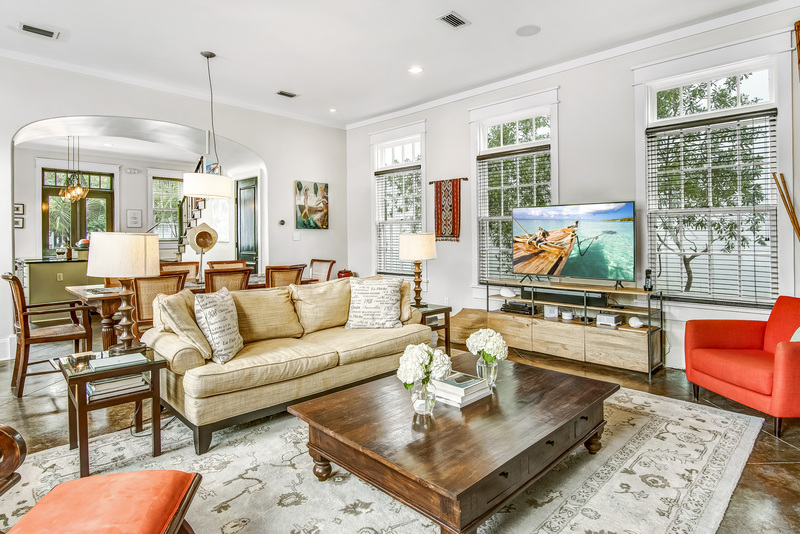 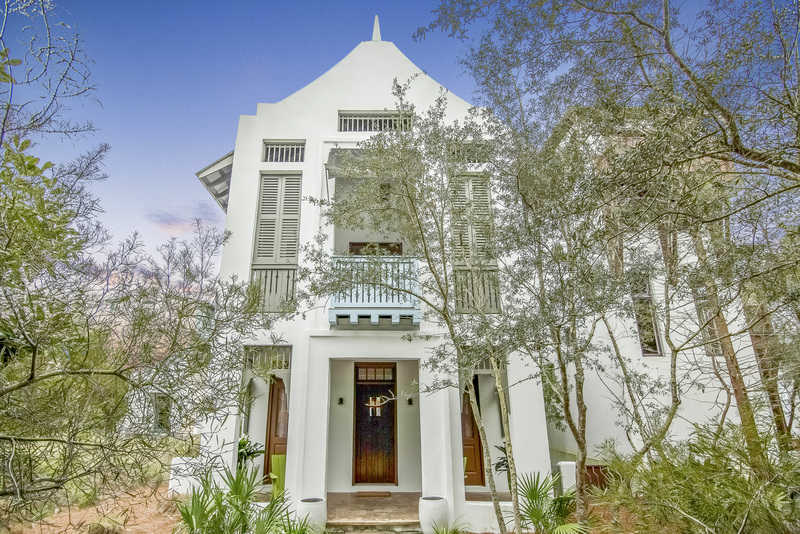 Coastal West Indies decor accompanied by African accents throughout bring an unparalleled element of culture & style to this 3 story beach abode. 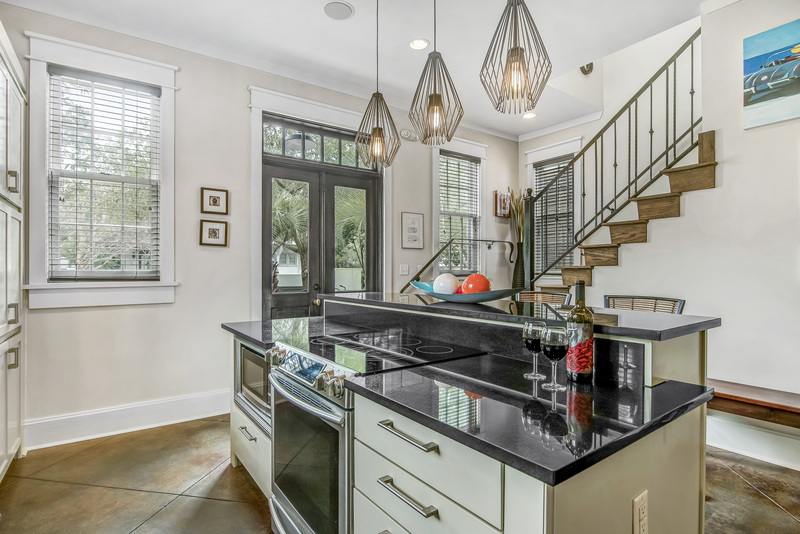 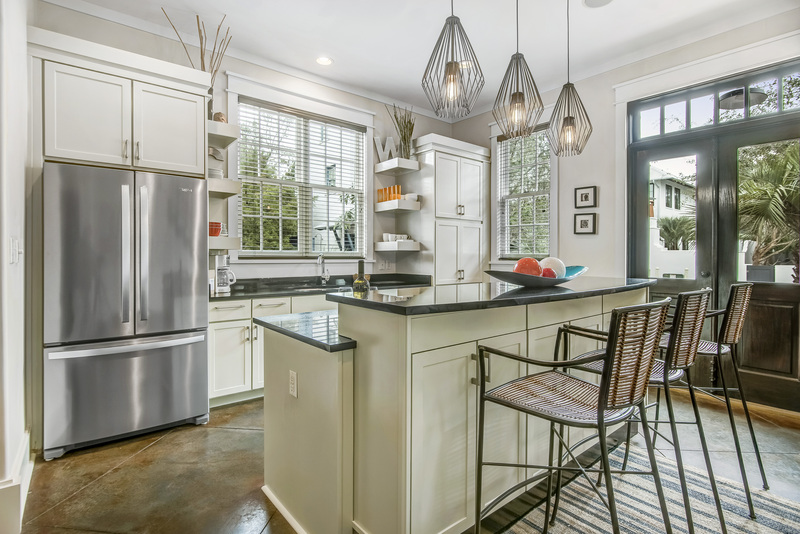 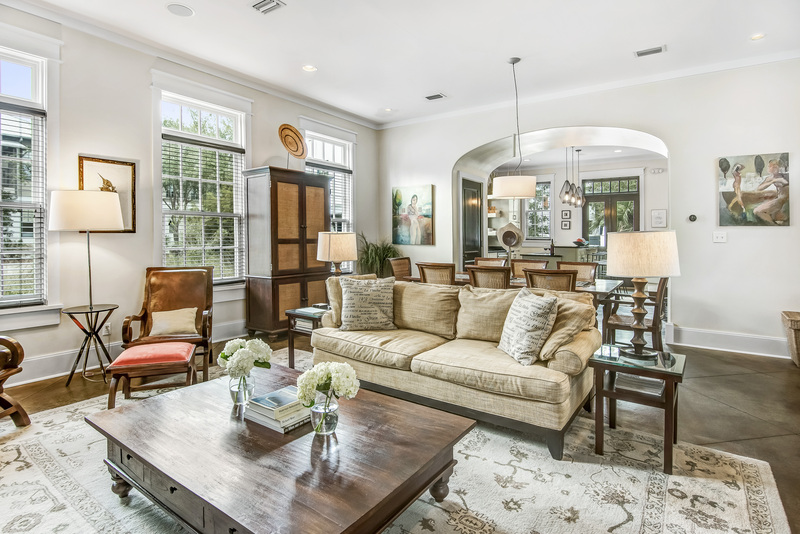 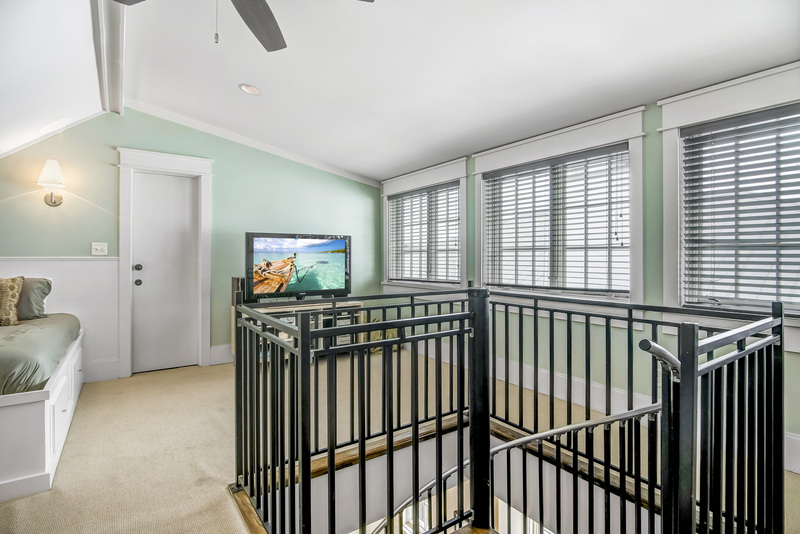 The common areas on the 1st floor are welcoming with an open concept. 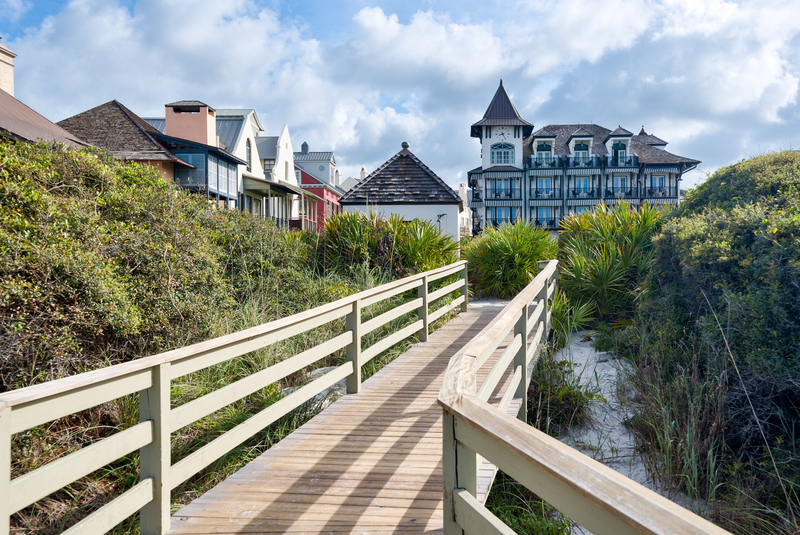 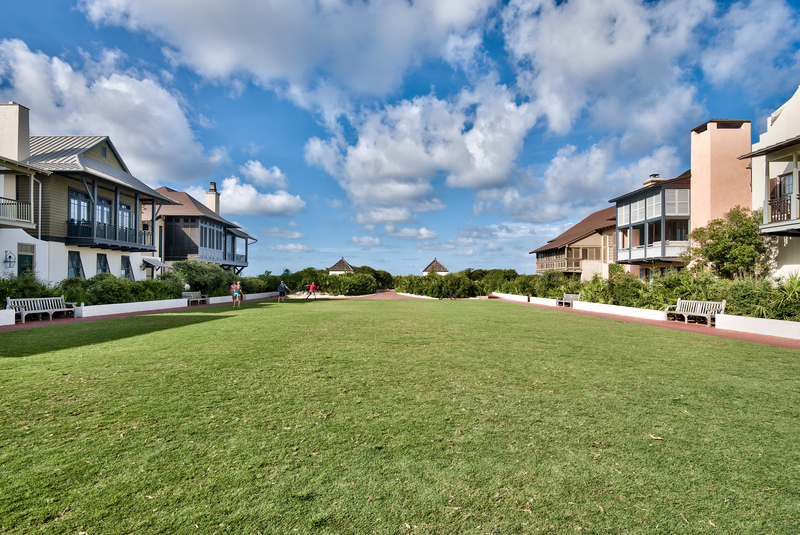 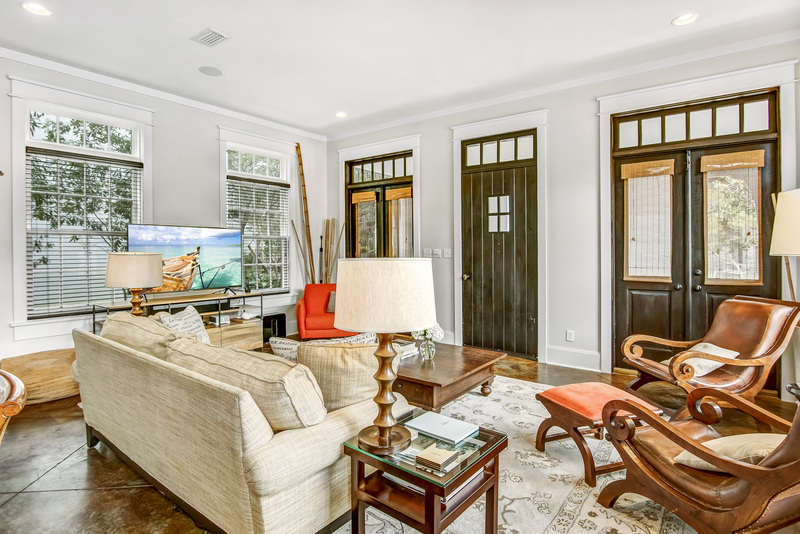 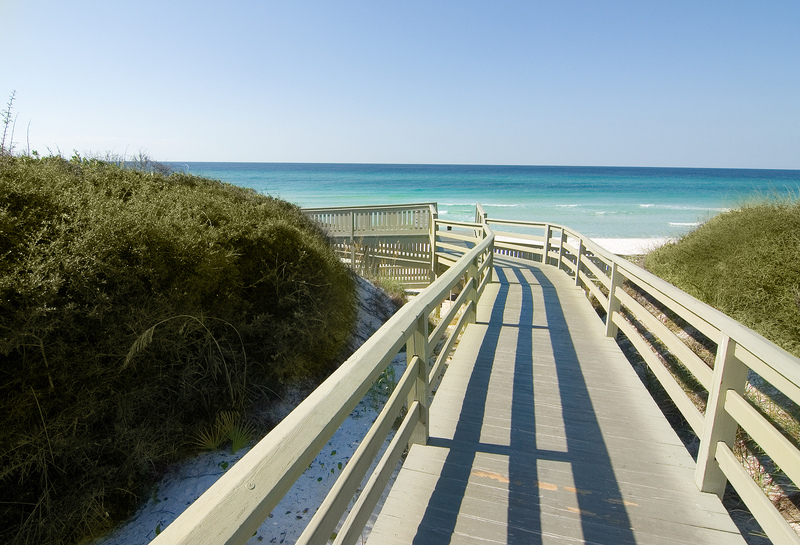 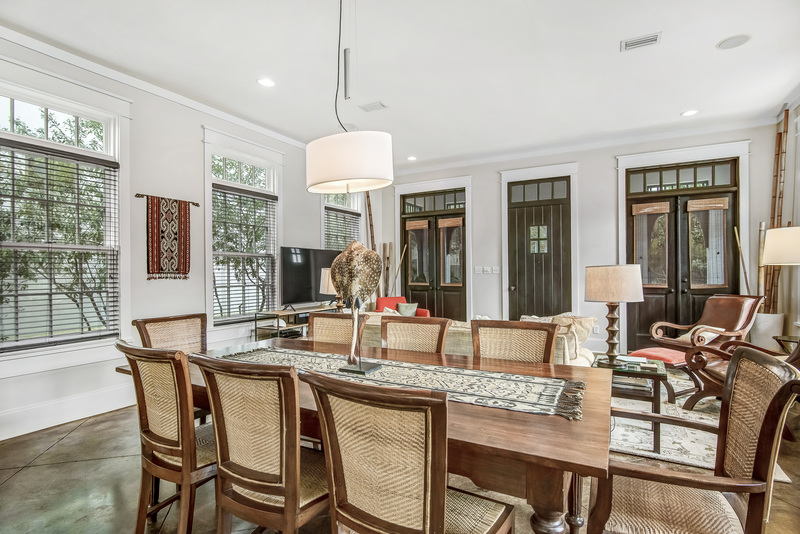 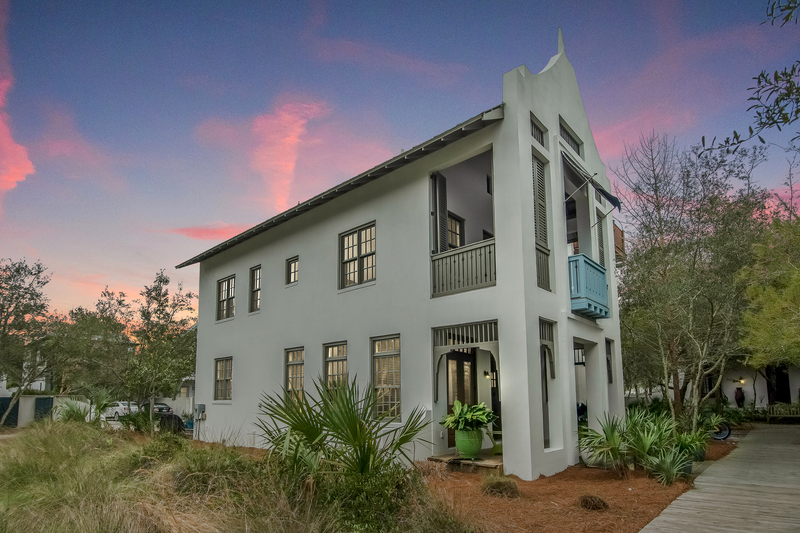 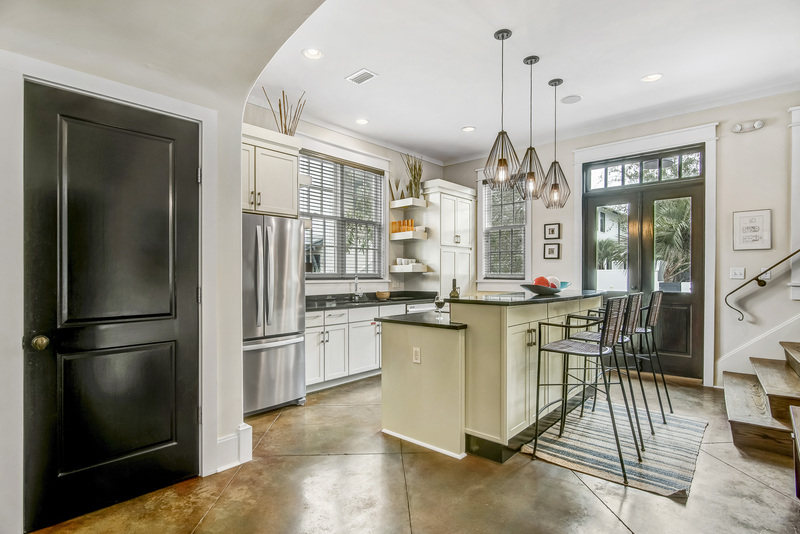 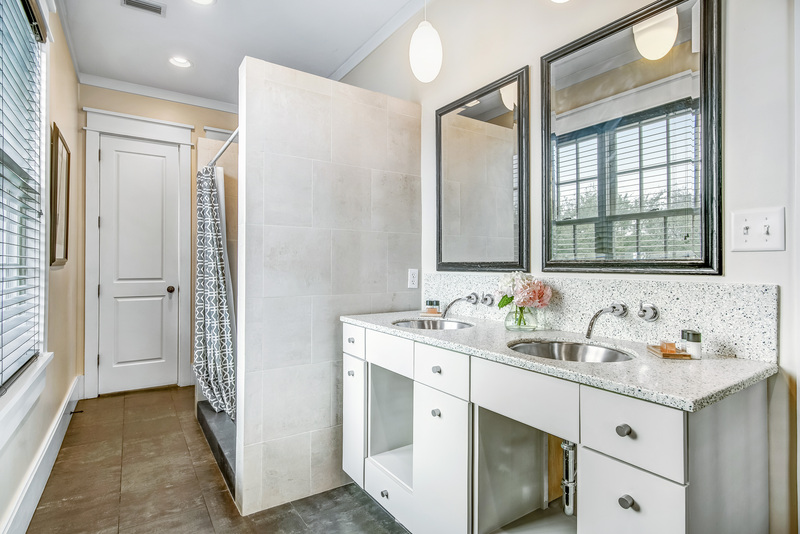 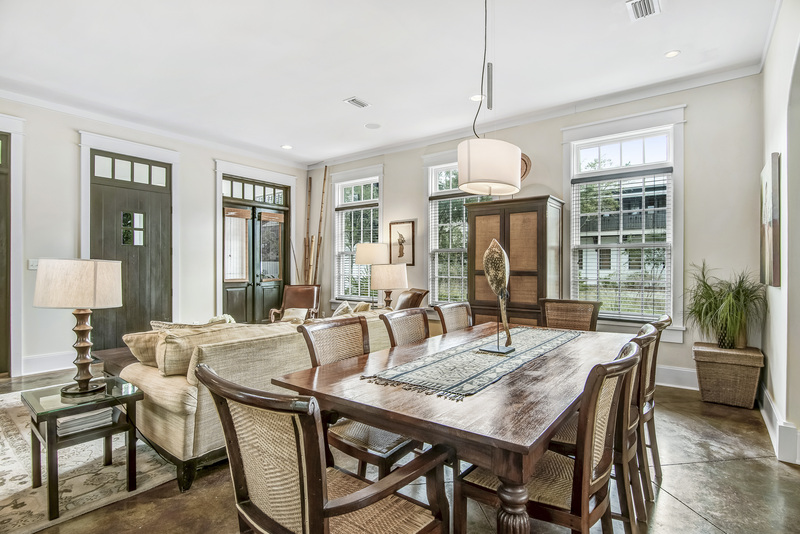 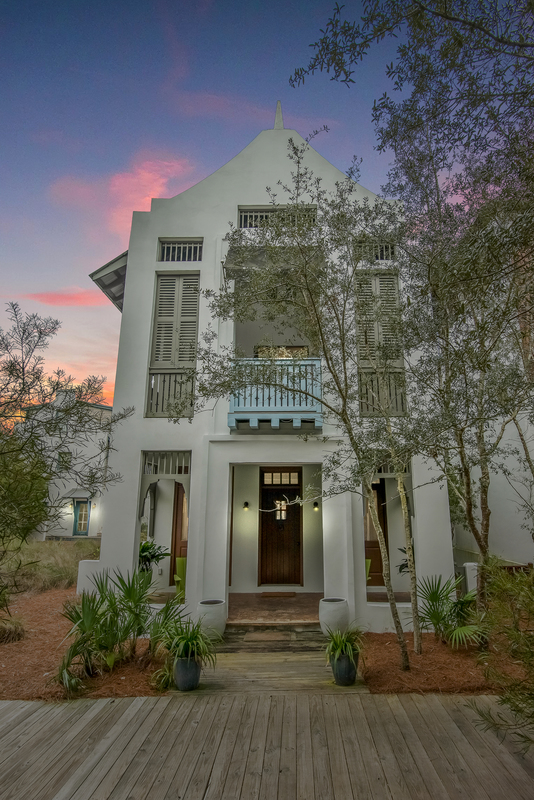 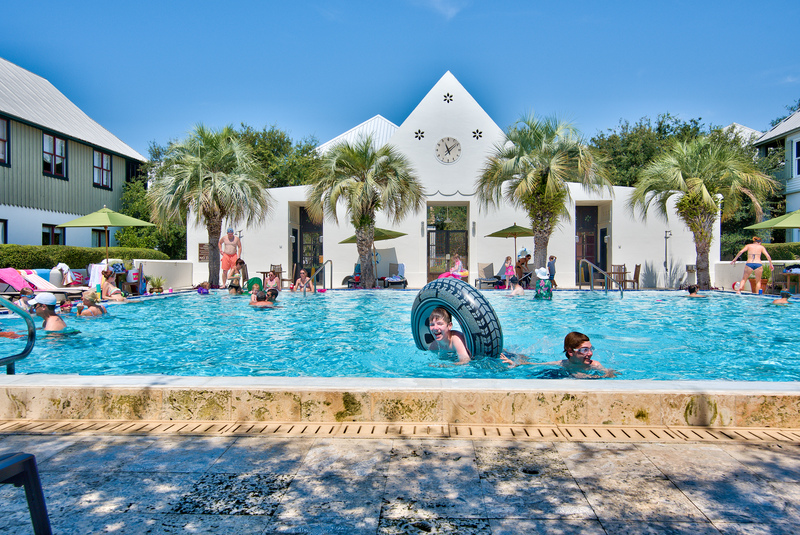 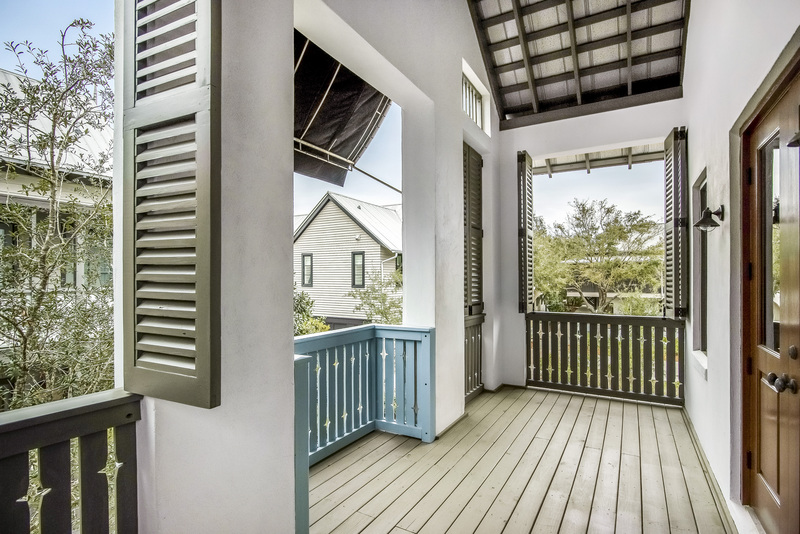 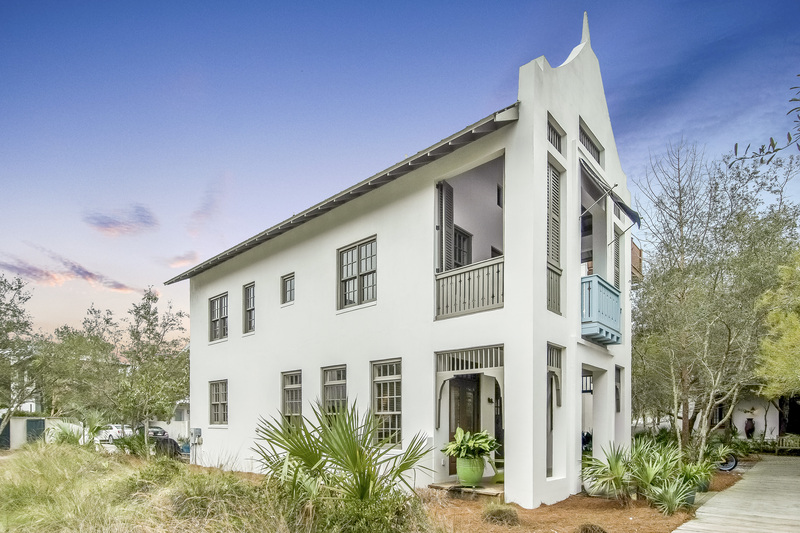 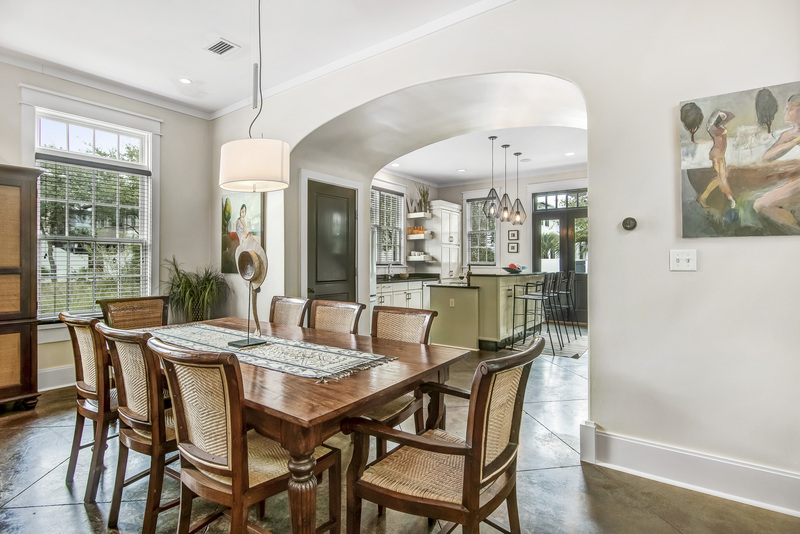 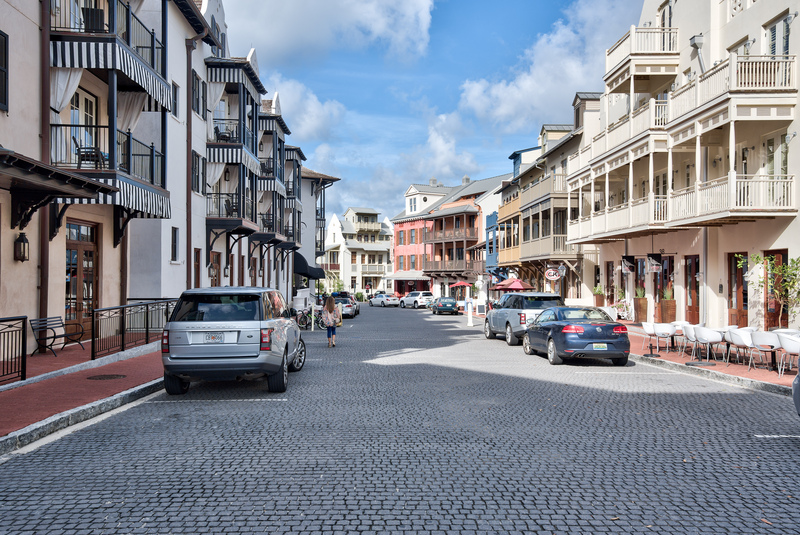 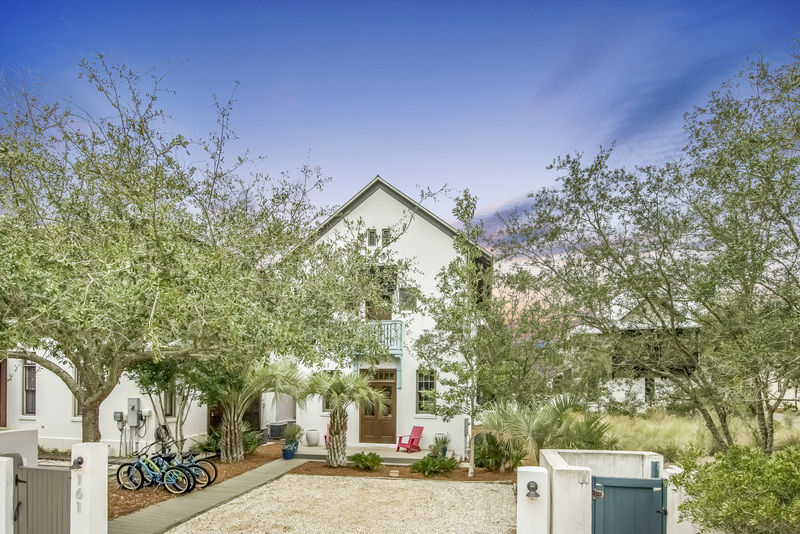 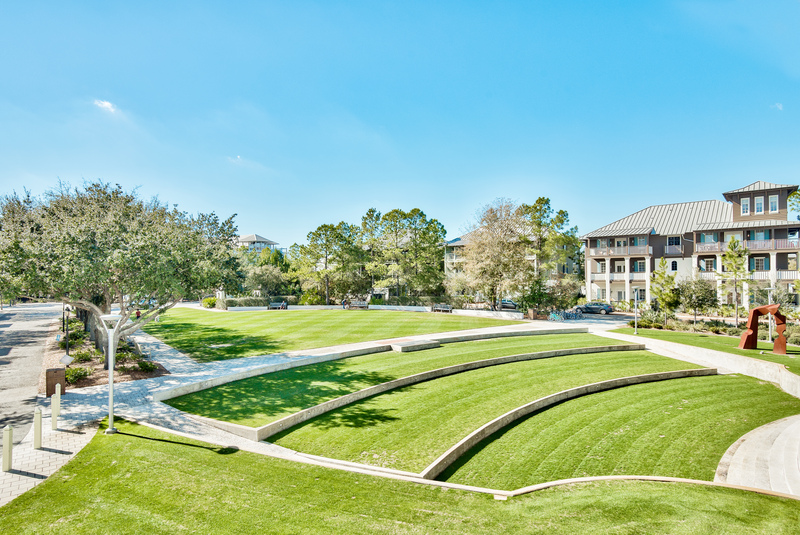 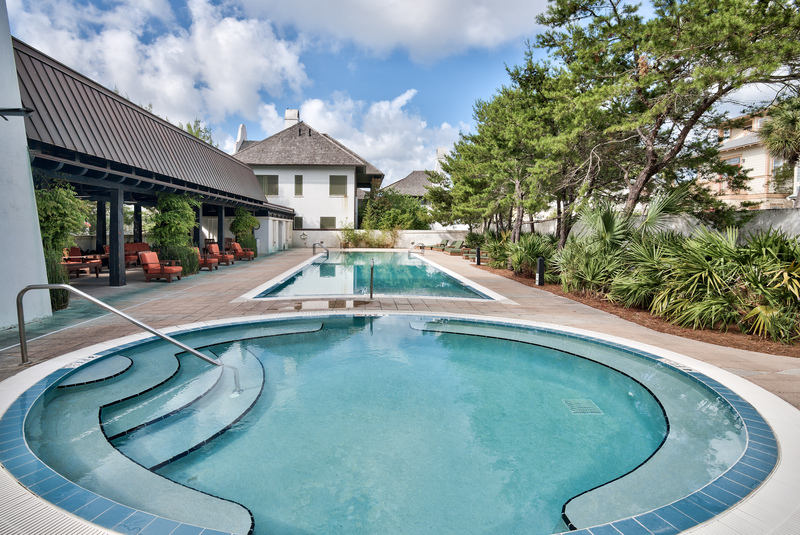 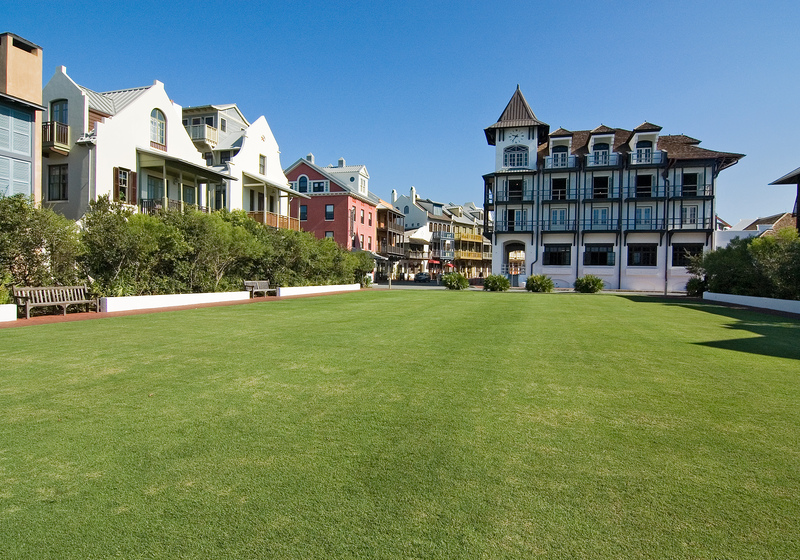 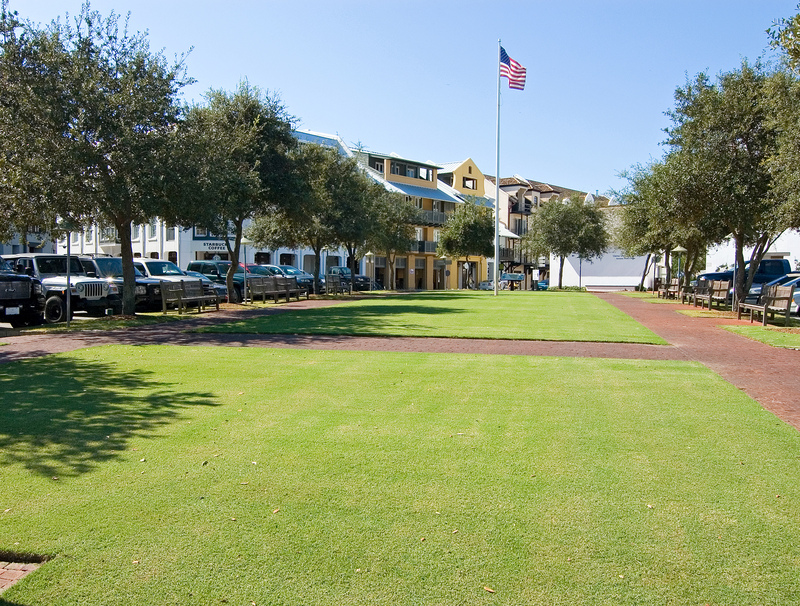 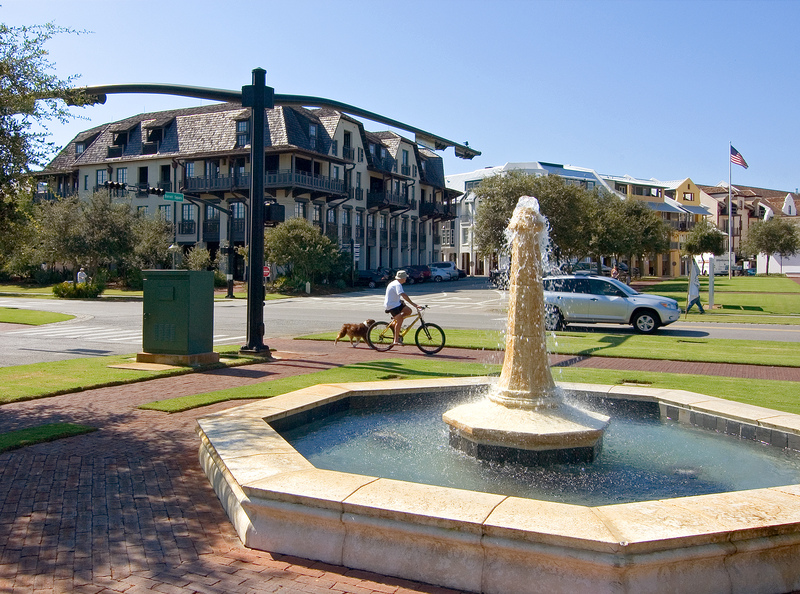 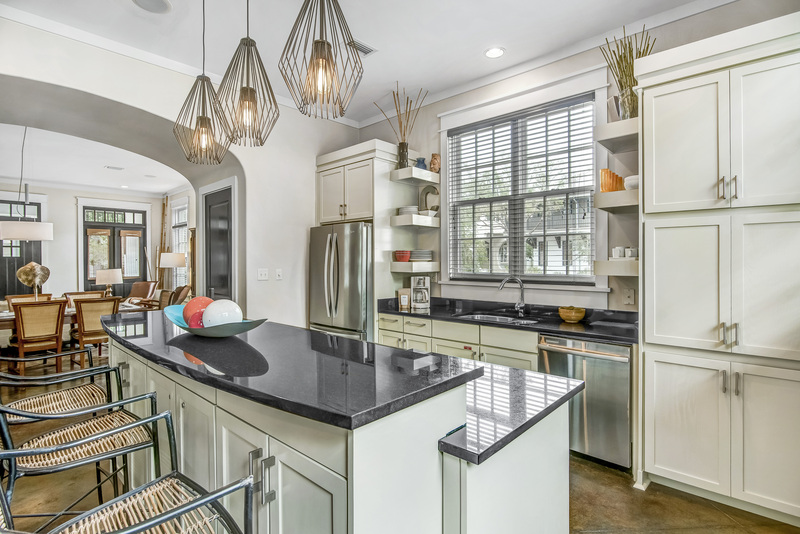 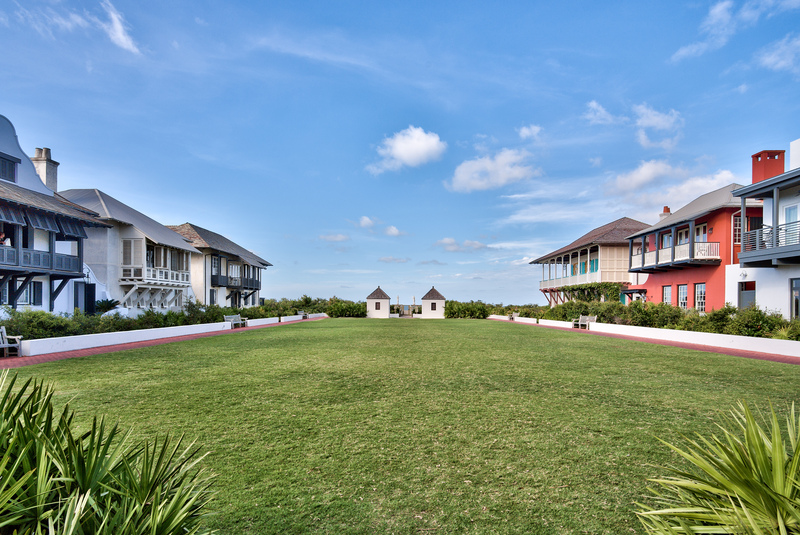 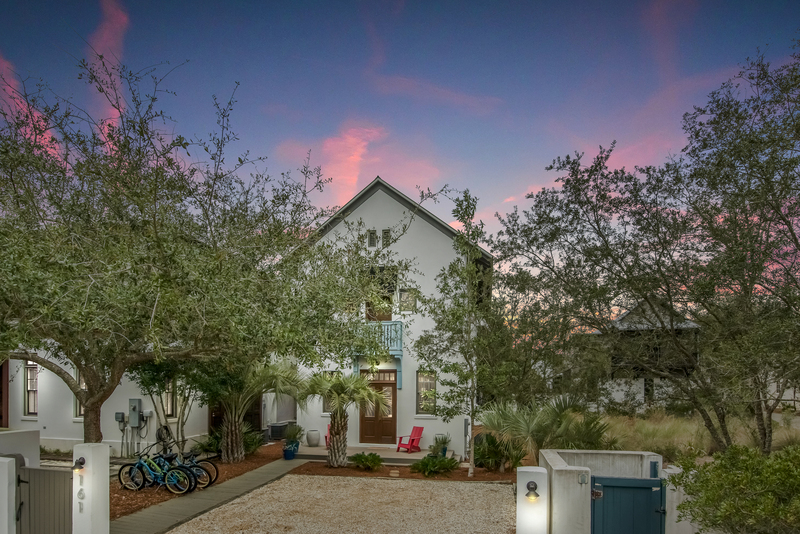 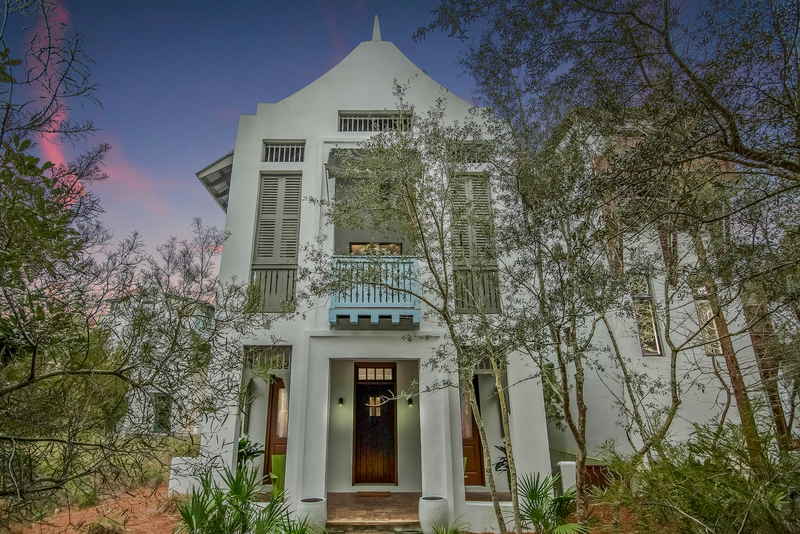 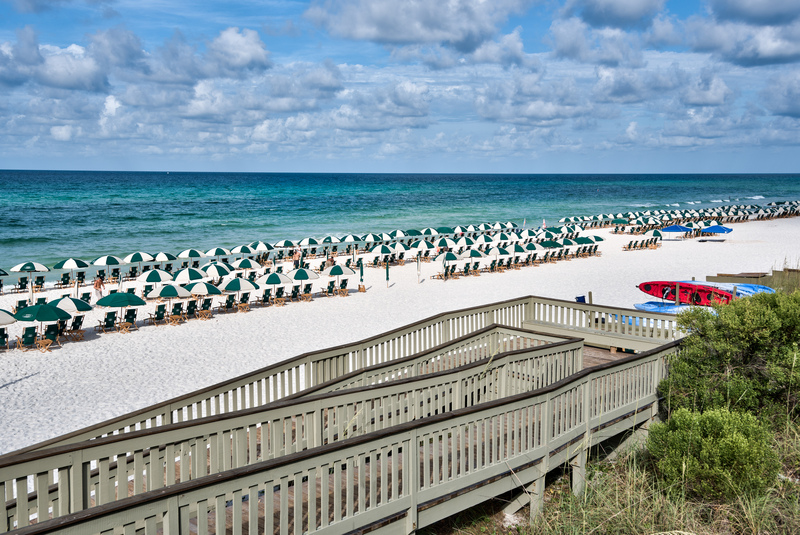 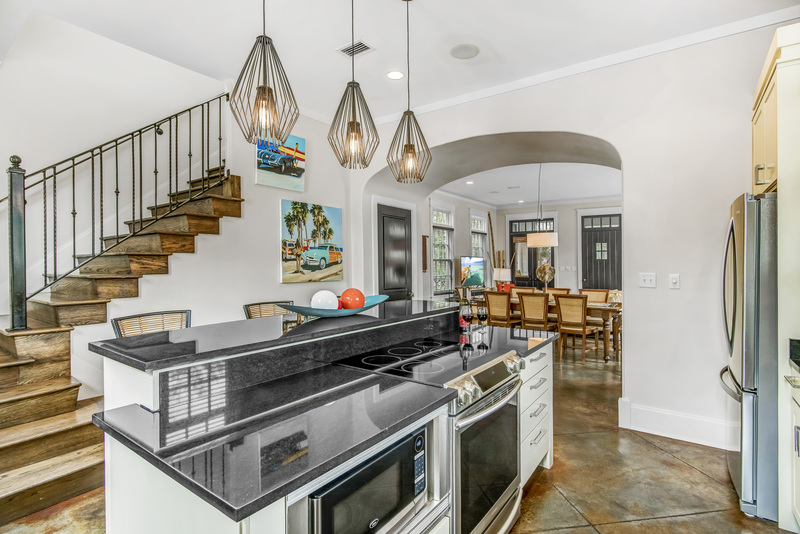 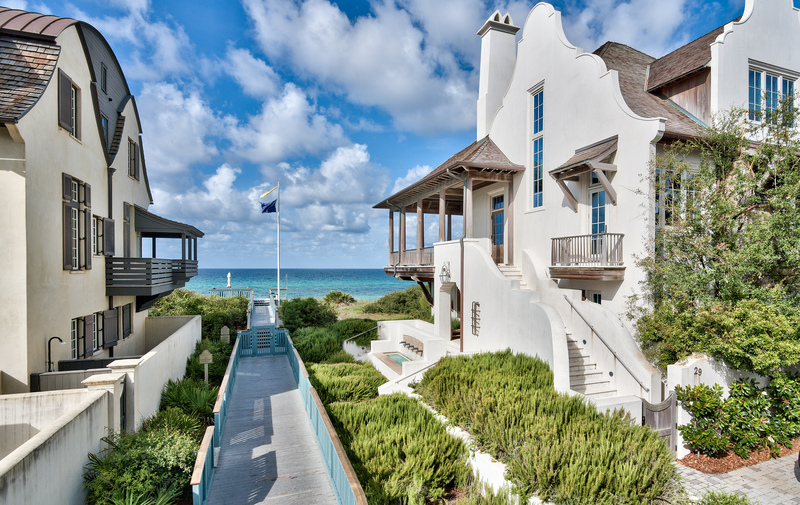 The front door opens onto one of many beach boardwalk paths, offering easy access to the shops & restaurants of Rosemary Beach but most importantly the beach! 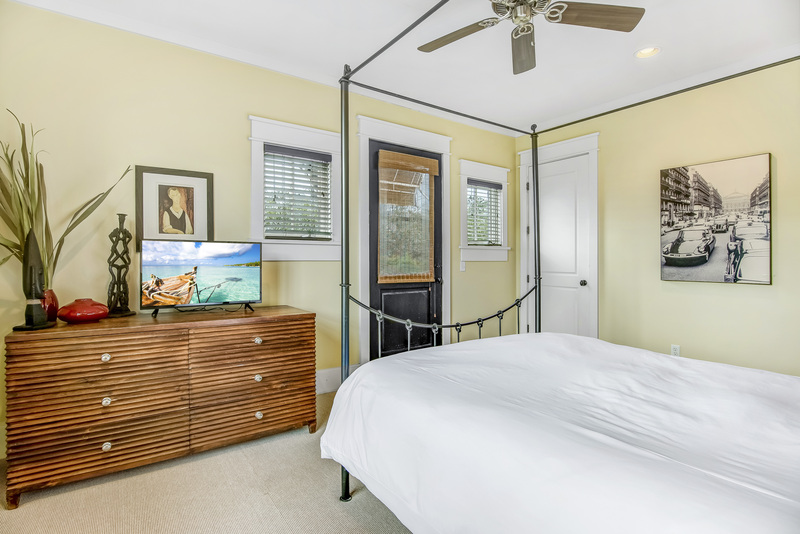 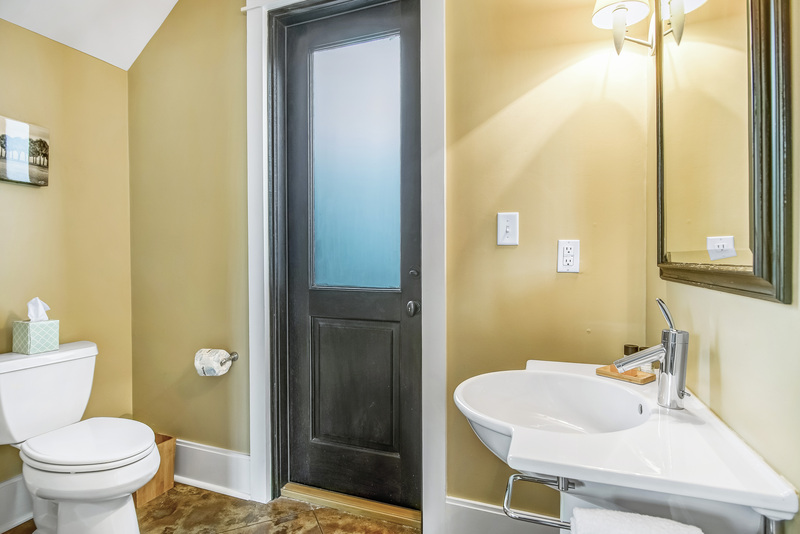 The upper levels of the Carlin Ward Cottage feature organic textures & artwork in each of the 3 bedrooms. 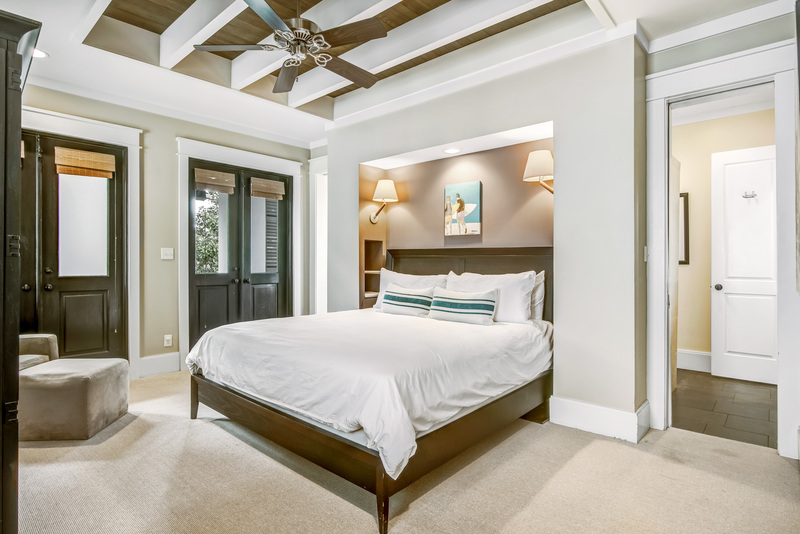 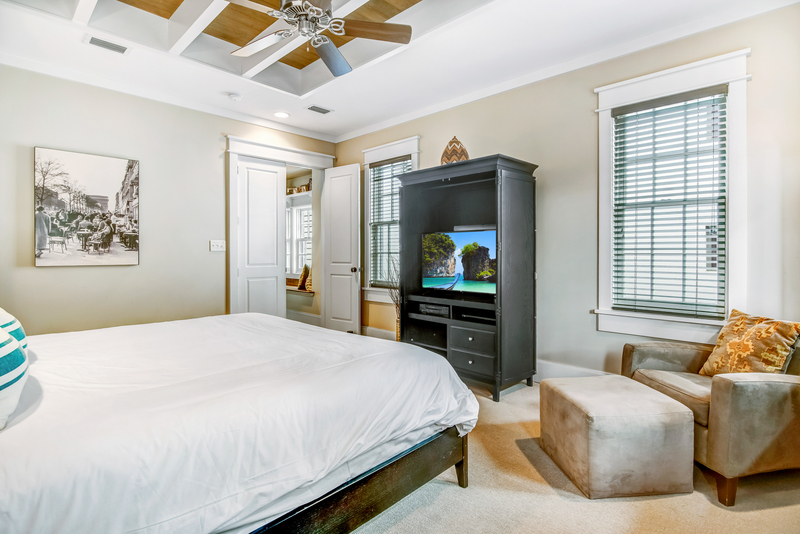 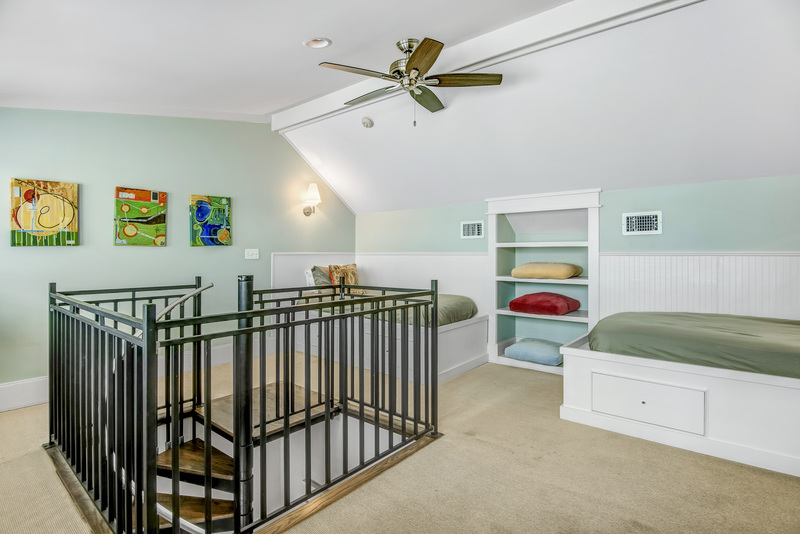 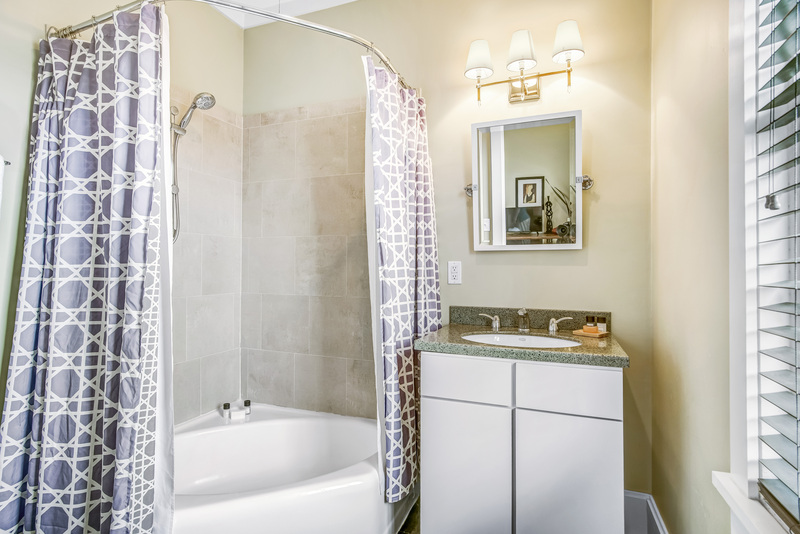 The master suite & guest bedroom are both located on the 2nd level of the home. 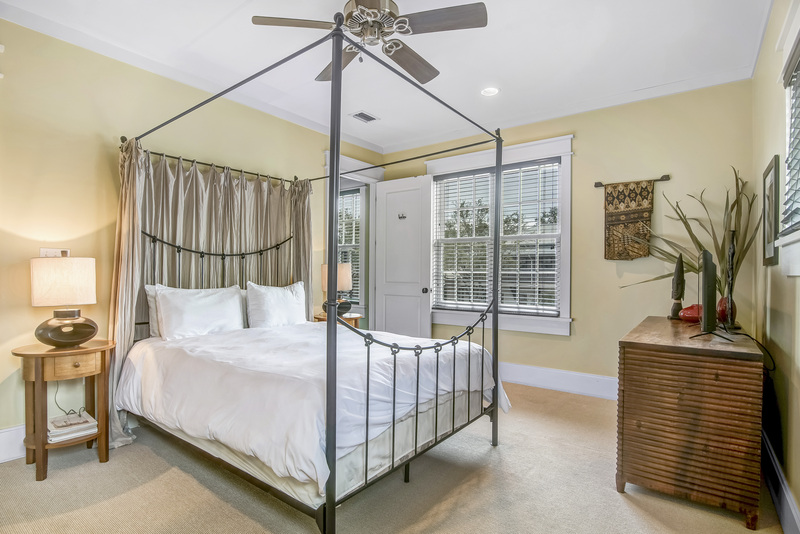 The master suite offers a king bed, plus a large private balcony! 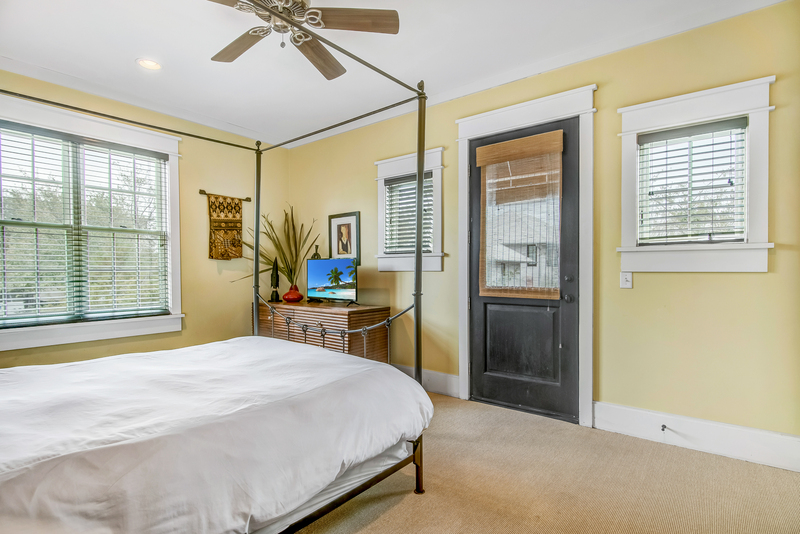 The guest bedroom is cozy with a small private balcony and en-suite bathroom. 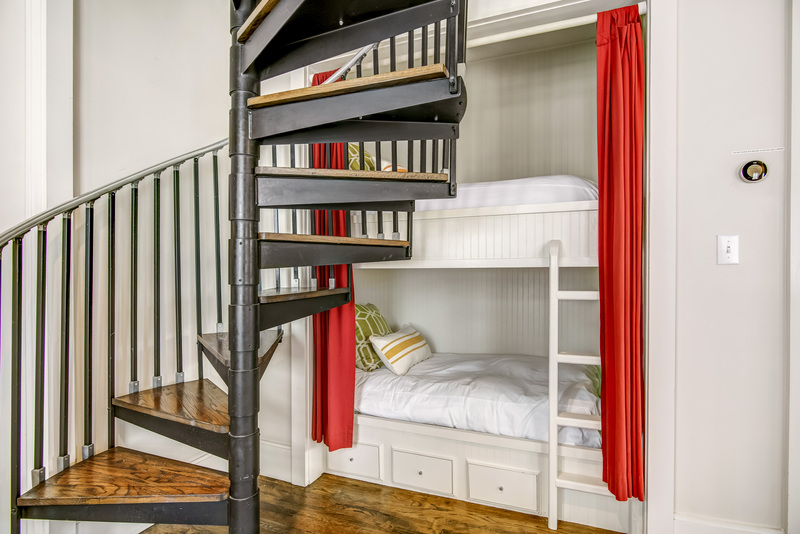 Following the spiral staircase up to the 3rd floor, you'll encounter an open loft with 2 twin beds, treetop views, & flat screen TV. 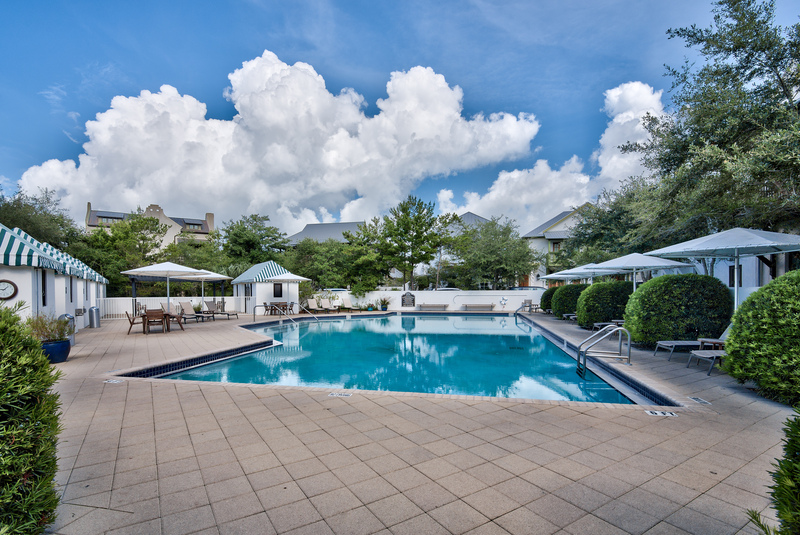 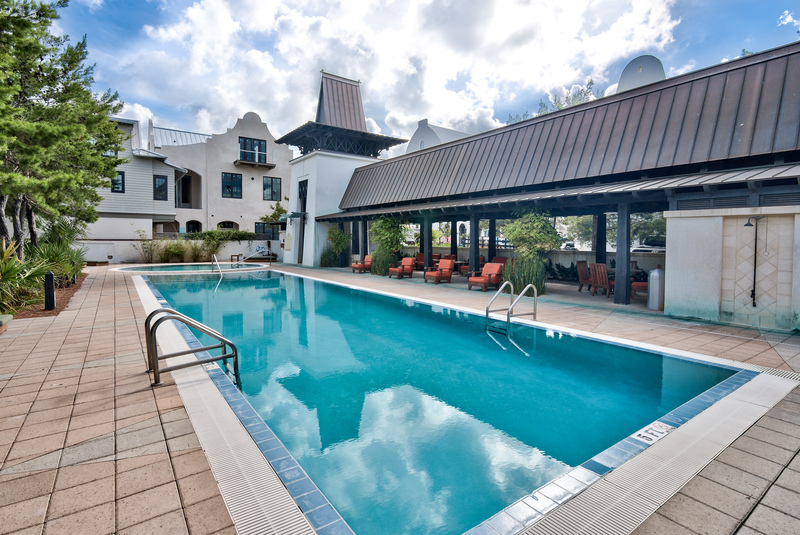 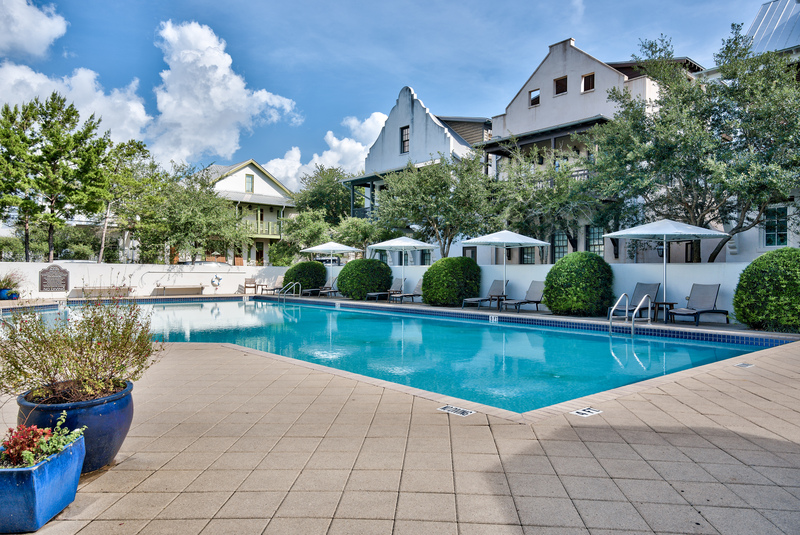 A nice sized courtyard is located just off the 2 car parking pad complete with 2 patio lounge chairs, a gas grill, and 4 complimentary adult bikes. 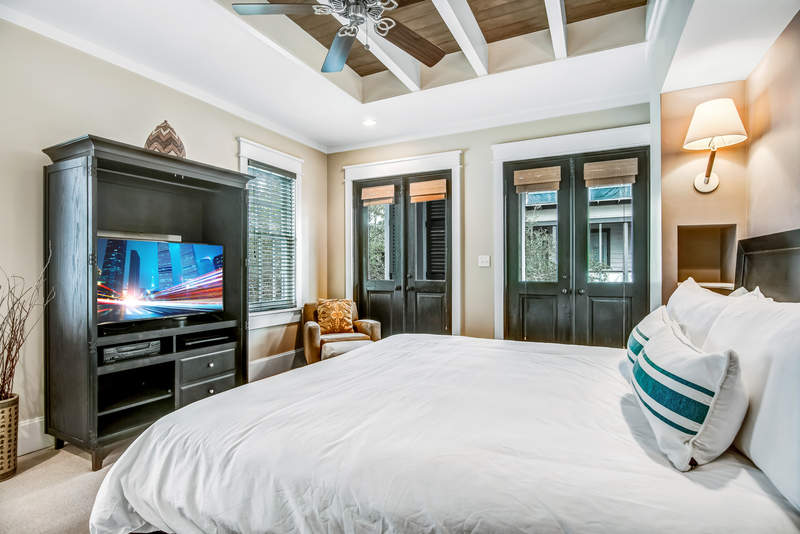 • Home Automation Thermostats and Yale Lock that you can control with our guest mobile app.